The awaited decision from Governor Cuomo was issued today. Two of the five proposals submitted to Start-Up NY by SUNY Ulster were selected, but do not include Niagara Bottling. We are very pleased. Start-Up NY is a new program, and we’ve seen multiple announcements made over the last 6 months at participating campuses. Until we hear otherwise, SUNY Ulster’s three other proposed businesses at Ulster (that includes Niagara) could be on the table at a later date. We ask for the public’s continued awareness and participation in 2015. 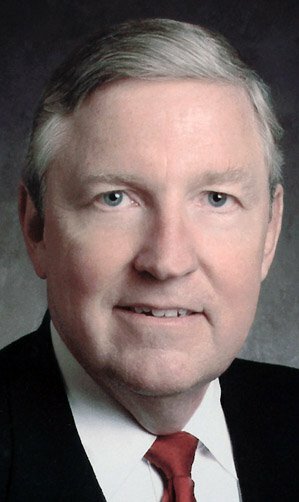 SUNY Ulster President Donald Katt: Please Share Documents To Show Niagara Jobs and Salaries. SUNY Ulster President Donald Katt, who stands in support of the Niagara Bottling Company receiving 10 years of tax abatements. Katt retires in the summer of 2015. “There’s really been some misrepresentation,” said Katt. “These are well-paying jobs.” say President Donald Katt. If Katt has information on the jobs and salaries offered by Niagara that the public does not, then make it available to us. Only at which time can we place this information next to what Niagara stands to gain in tax abatements for the approximately 40 – 120 jobs that they promise to provide. We believe that Katt, like Supervisor Jim Quigley, have signed confidentiality agreements with Niagara. When it comes to our tax dollars being used to finance large corporations such as Niagara Bottling it is our right to know. Particularly before any decision is made regarding Niagara and Start-UY NY and the IDA. 1. Recently, the Niagara Bottling Company put in a Consolidated Funding Application for a reported 10.8 million dollars to help them to build their facility. The promise for the first five years is 40 jobs. Niagara would have essentially received $270,000 per job in this case. 2. 10 years of tax abatements are really tough to qualify, but lets try by giving an example. To be safe, lets say that 100 jobs are created and pay $46,000.00 (a stretch indeed). Remember, that when a company such as Niagara is a part of the Start-Up NY program, they don’t pay any taxes (including employee) for 10 years. Using a base salary of $46,000 of which 35% would be taxed (totaling $16,100). An estimated 15% of this amount (or $6,900) would go to NYS. Multipy $6,900 x 100 employees not required to pay NYS taxes. That is $690,000.00 per year or $6.9 million over 10 years and that’s just the beginning. The worker’s salaries are still beholden to Federal Taxes as we understand it ($9,200 per year if calculated as 35% of their salary). Based on national figures on what is considered a living wage in America, that is barely above the threshold (with the amount not calculating health care benefit costs. Would the Niagara positions all offer health care packages?) is$36,800. It occurs to us, too – what happens to the workers quality of life after 10 years of not paying such a tax? Take away NYS taxes and you’re down to $29,900.00. We must reiterate, 100 jobs at $46,000 is a stretch. Based on what we have seen, the jobs typically offered to locals by Niagara pay $12 – $14 per hour, do not include benefits and are mainly assembly line positions. All of which are just estimates to a thought process. But it is this kind of calculation for jobs, for the sale of water, pollution – the entire scope of the project – that needs to be done and shared with the public. Given that such important decisions are being made prior to our SEQR process, it is unfair for our elected and appointed officials not to make the information widely available. DID YOU KNOW? On Water. Did you know? A few important facts as we understand them. 1. That the City of Kingston allowed the sale of 1 million gallons per day (GPD) to IBM in the late 1950’s until their demise although they hardly ever used the full amount allocated to them? Based on what we currently know, IBM had to purchase that amount whether they used it or not. 2. That the Town of Ulster currently purchases 700,000 GPD, but really only uses 500,000 GPD? The additional 200,000 GPD is held for their community and if used, would be charged a higher water rate? 3. That the Town of Ulster’s water is ‘hard’ and that some of the City of Kingston’s water that is purchased is used to mix and improve water quality saving money on water treatment? 4. As the current water rates are structured in Kingston, those who use the most water are charged less and those who use the least pay more? …and get to know your water source. 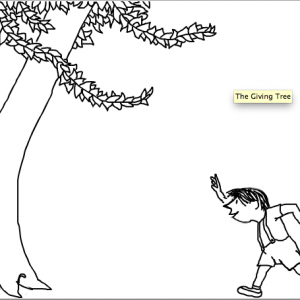 Click on the image to view the original “The Giving Tree” narrated by Shel Silverstein himself. What a fall into winter it has been. I was nearly out of the game after a decade of community work in Kingston – happily moving back into music making without interruption – when news broke that a national water bottling company was planning to move into our area as early as April of 2015. With hardly any time to respond, what became clear was that a whole host of items had been neatly placed in line to make it possible for the Niagara Bottling Company to come and to purchase up to 1.75 million gallons of water per day (and probably ultimately more) of Kingston’s municipal water. All of which had been orchestrated without the public and many elected officials knowledge. After months of organizing on our own we have successfully brought a host of troubling circumstances to light, and have helped to create a strong group of citizens, elected officials and organizations that will one day build a water coalition to protect what is a finite resource. Although we’ve been framed as the ‘opposition’ or a ‘watchdog group’ in the Niagara Water Bottling project, what KingstonCitizens.org is – and has always been – is a platform that encourages the public to participate thoughtfully by providing important information to contemplate alongside educational opportunities. This site has been up since 2007. Please go back and have a look at the wealth of information here to see for yourself. We are beholden to no one other than the public having never solicited or accepted a dime to do this work. Our group has always been a volunteer effort motivated by the desire to be useful within our community – and we are here to stay. In the New Year, the public will have the opportunity to voice in on the proposed Niagara Water Bottling project after working hard to secure a Formal Public Scoping process and Positive Declaration in SEQR. Our collective community will need to patiently stay the course. We must remind ourselves and together, one another. Whatever the outcome for Niagara, with our new and growing awareness there is much that we can do to improve our city with the help of our elected officials. Charter reform, long range planning for infrastructure, creating new sustainable water rates and more. But for today, we take nothing for granted and appreciate our old and new friends and colleagues along with our challenges and challengers, too. May you all enjoy the holiday season. 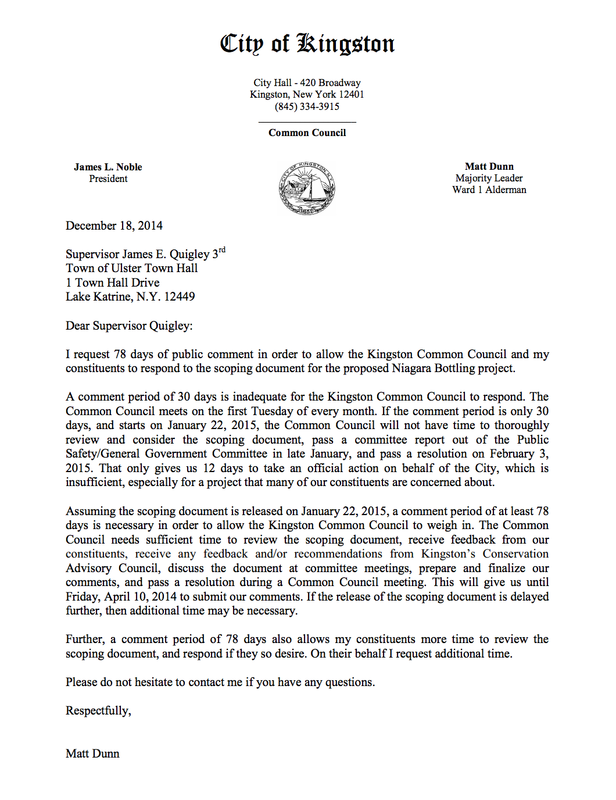 Village of Saugerties Trustee Patrick Landewe recently wrote a letter to the Town of Ulster as Lead Agency respectfully requesting ‘to be contacted during the course of the SEQR process as a courtesy’ to keep informed as an ‘interested’ agency. Landewe thanks the Town of Ulster for ‘taking the lead and initiating the EIS process’. We, too, appreciate a positive declaration and formal/public scoping process in SEQR. 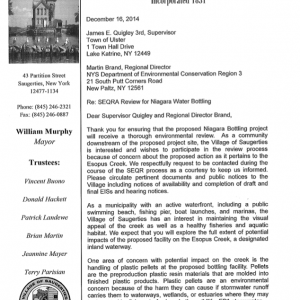 READ the article in the Saugerties Times “Saugertisians Urges to Oppose Ulster Bottling Plant”. Click on image to read the letter in full. Recently, it was reported that The Chazen Companies (Niagara Bottling Company’s consultant for the proposed Niagara Water Bottling project) requested an additional 30 days to submit their scoping document (originally due on December 22nd, thirty days from which Lead Agency was determined). At last night’s Town of Ulster Town Board meeting, however a new resolution was not passed that would have indicated any changes to the Town of Ulster’s (as Lead Agency) original SEQR schedule. KingstonCitizens.org will follow this closely by keeping up with the Town of Ulster’s Town Clerk daily to learn and confirm whether or not the Chazen Companies has or will turn in their scoping document prior to January 22nd. 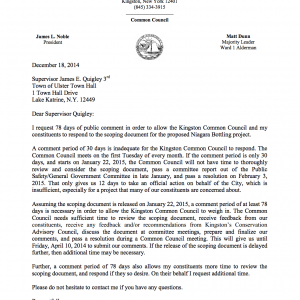 In the meantime, we are pleased to share letters from both Scenic Hudson and Alderman (and Majority Leader) Matt Dunn of the Kingston Common Council who submitted letters to the Town of Ulster in support of our request of a minimum of 60 days for public comment in the SEQR scoping process. All eyes on SEQR now, Kingston citizens – and in working to provide you with the proper time required to respond. Click on the image to read the letter in full. Click on the image to down load the letter written by Ward 1 Alderman and Majority Leader Matt Dunn. I am here with KingstonCitizens.org, an organization that now has over a thousand supporters and approximately 25 professionals in a region-wide coalition engaged in our work. (See Introduction to KC.org). We have been working since 2005 to increase transparency and civic engagement in Kingston, New York through public interest research, educational forums, and working in a non-partisan manner with our elected officials to support open government. I am an urban planner with many years of experience in economic development and environmental conservation research, policy, and development work. As the Policy and Planning Advisor to Kingston Citizens and a trustee on local, regional and state boards, I am committed to providing well-documented information regarding discussions of public concern. Your packets contain articles and references to support the statements I am making here today, so that you may evaluate and further discuss the points in this presentation. I and the members of our team are available for further discussion on this issue and welcome your questions. Kingston Citizens has taken on the issue of the Niagara Bottling proposal because of an unprecedented outcry by residents in Kingston and surrounding communities that will be affected by this proposal. Hundreds of people have attended meetings in Kingston’s City Hall, scores have attended the Town of Ulster’s meetings, and 1,587 signed a petition within a 5-day period objecting to the State’s potential funding of Niagara’s 10.8 million-dollar grant proposal last week. I have outlined 10 reasons why our organization and our many supporters are asking you not to enter into a partnership with the Niagara Bottling Company as part of the Start Up New York program. In your packets are the key references in this outline. A full folder of the resources we cite is being shared with Ms. Zell and Mr. Katt for your further analysis. With what we present next, we ask you to fully consider whether the Niagara Bottling plant and your Start Up New York proposal are aligned with your mission. Furthermore, this is not an industry that links to SUNY’s educational mission articulated in The Power of SUNY, including 21st century, sustainability-oriented and environmentally-conscious education and job opportunities. Students in the United States are increasingly aware of the importance of sustainability in social, environmental and economic terms. The Princeton Review recently reported that over 25% of applicants said that commitment to the environment would “very much” impact their decision on a college or university. The SUNY Ulster students must learn to compete in a global marketplace and, as they have said in their own words, “SUNY Ulster’s interactions with the Start-Up NY program, it has the capability to aid in the introduction of sustainable jobs and companies, as well as the potential to introduce unsustainable or environmentally harmful companies to the local area.” They are asking you to work with the former. They want to learn from socially-responsible companies. I hope you want this for them, too. The public became aware of the Niagara Bottling proposal several months after it went through several steps that would normally require public disclosure. Chief among these is the provision of water through the Kingston Water Department, whose “will serve” letter was issued, but not made publicly available until FOILed by KingstonCitizens.org, despite a potential lack of capacity and a known construction and maintenance decision that would require the assent of the Kingston Common Council, according to our City Charter. When asked by the SUNY Environmental Club whether the students would have any input into Niagara’s proposed Start Up New York venture with the college, the president told the students that they could not participate in the college’s development of the Start Up New York plan. The water bottling industry has become one of the world’s most wasteful industries. In 2007, when the last federal industrial energy data were published, the industry utilized 32 to 54 million barrels of oil, which is a third of a per cent of total US primary energy consumption. The Pacific Institute estimates that the total amount of energy embedded in our use of bottled water can be as high as the equivalent of filling a plastic bottle one quarter full with oil. Consumption of bottled water has grown 10 percent each year since these data were published. The bottling industry has managed to convince the public that bottled water is safer to drink than tap water. In truth, the industry is hardly regulated at all, with regular reports of contamination in the products. By comparison, municipal water supplies are tested at least hundreds of times per month and have a better safety record than bottled water. The $10.8 million Regional Economic Development grant proposal, if awarded, would have provided Niagara with $90,000 per job created for 120 jobs and $270,000 per job for 40 jobs. Because the public has not been provided any information regarding the amounts associated with the tax incentives associated with Start Up New York, we are concerned that these are commensurately high in relation to the jobs created. The concept of “opportunity cost” must be considered here. According to the Start Up New York program regulations, here is a 200,000 square foot ceiling on the incentive award. Has the Board of Trustees evaluated other options? Have you considered what this may prevent our community from doing in the future? 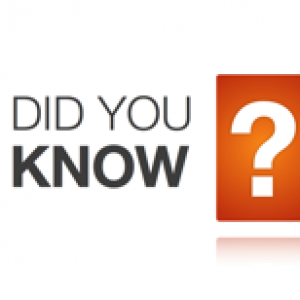 State agencies are specifically prohibited from funding an action until it has complied with the provisions of a State Environmental Quality Review (SEQR) (see section 617.5). Before considering the Niagara Bottling proposal for a Start Up New York tax abatements, we urge SUNY Ulster to allow the full environmental review process to occur so that all its related impacts can be evaluated, including the construction and operation of the plant, the sale of the water, the implications for Kingston’s overall water supply, the infrastructure required for withdrawals, and the potential impacts to the water bodies from which Kingston draws its water supplies. The Niagara Bottling Company was found to have violated environmental regulations in California and Arizona. Niagara Bottling sued the City of Groveland, Florida – with a population of just over 7,000 residents — which had to spend more than $1.4 million in its battle with Niagara and had to settle for $1.24 million credit toward sewer-utility payments and pay some other costs for the company. Niagara can use as much as 200,000 gallons a day in sewer service from Groveland for as long as seven years without being charged, which is among the most expensive of municipal services in any community. Niagara employees, current and past, in plants across the country, have logged dozens of complaints about the company’s lack of training, safety procedures, criteria for performance its high turnover, forced overtime, and corporate culture of favoritism. If this were one plant, or just a few employees, we would not share these with you, but these reports came from several locations. Industry reports show that – among the 90+ job categories at Niagara – many of the jobs, particularly in labor (not management) lower-paid than other employers in this industry. We are providing these for you in the digital file to Ms. Zell. TheBureau of Labor Statistics (BLS is my source for the claim of lower pay and injury/illness at bottling plants. They issued several reports on this problem. Your packet has a page from a BLS report on this. Monitoring compliance with laws and regulations applicable to the institution’s operations. Today, your students are asking you to make a commitment to exert leadership in your decisions regarding your relationship to Niagara Bottling. In order for Ulster County to give its students the tools to compete in our global market, they need to learn not only skills or to be trained in specific tasks. They need role models whose decisions reflect a respect for the public good and for the protection of our public resources. They deserve to see our leaders hold themselves to the highest standards and show that they are striving for the best opportunities they can secure for them. Again, we are at your disposal to discuss this further. Thank you for your time and consideration. Bartik, T. J. (2012), The Future of State and Local Economic Development Policy: What Research Is Needed. Growth and Change, 43: 545–562. doi: 10.1111/j.14682257.2012.00597. Glaeser, Edward L. and Joshua D. Gottlieb. 2008. “The Economics of Place-Making Policies.” Brookings Papers on Economic Activity:155-239. Partridge, Mark D. and Dan S. Rickman. 2006. “An SVAR Model of Fluctuations in U.S. Migration Flows and State Labor Market Dynamics” Southern Economic Journal 72(4):958-980. Pettus, Ashley. 2006. “Rethinking New Orleans.” Harvard Magazine, January/February, Available at: http://www.harvardmagazine.com/on-line/010673.html. Polese, Mario and Richard Shearmur. 2006. “Why Some Regions Will Decline: A Canadian Case Study with Thoughts on Local Development Strategies.” Papers in Regional Science 85(1):23-46. Renkow, Mitch. 2003. “Employment Growth, Worker Mobility, and Rural Economic Development.” American Journal of Agricultural Economics 85(2):503-513. Rodriguez-Pose, Andres. 2010. “Economic Geographers and the Limelight: Institutions and Policy in the World Development Report 2009.” Economic Geography 86(4):361-370. Rowthorn, Robert and Andrew J. Glyn. 2006. “Convergence and Stability in U.S. Employment Rates.” The B.E. Journal of Macroeconomics: Contributions in Macroeconomics 6(1). World Bank. (2009) Reshaping economic geography. Washington, D.C.: World Bank. Anderson, Ray C. Confessions of a Radical Industrialist: Profits, People, and Purpose—Doing Business by Respecting the Earth. New York: St. Martin’s Press, 2009. Bartlett, Peggy F. and Chase, Geoffrey W. (eds.). Sustainability on Campus. Cambridge: MIT Press, 2004. Beavan, Colin. No Impact Man: The Adventures of a Guilty Liberal Who Attempts to Save the Planet, and the Discoveries He Makes About Himself and Our Way of Life in the Process. New York: Picador, 2010. Benyus, Janine M. Biomimicry: Innovation Inspired by Nature. New York: William Morrow & Co., 1997. Brown, Lester R. Plan B: Rescuing a Planet Under Stress and a Civilization in Trouble. New York City: W. W. Norton & Co., 2003. Cox, John D. Climate Crash: Abrupt Climate Change and What It Means for Our Future. Washington, D.C.: Joseph Henry Press, 2005. 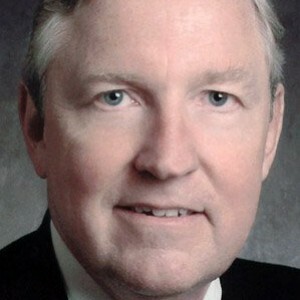 Farrell, James J. The Nature of College. Minneapolis: Milkweed Editions, 2010. Friedman, Thomas L. Hot, Flat, and Crowded: Why We Need a Green Revolution—and How it Can Renew America. New York: Farrar, Straus and Giroux, 2008. Green Building and LEED Core Concepts. Second Edition. usgbc.org/store. Gore, Al. Our Choice: A Plan to Solve the Climate Crisis. New York: Simon & Schuster, 2009. Hawken, Paul. Blessed Unrest. New York: Penguin, 2008. Hawken, Paul. The Ecology of Commerce: A Declaration of Sustainability. New York: Harper Collins, 2010. Katz, Greg. Greening Our Built World: Costs, Benefits and Strategies. Washington, D.C.: Island Press, 2010. Martin, James and Samels, James E. (eds.). The Sustainable University: Green Goals and New Challenges for Higher Education Leaders. Baltimore: The Johns Hopkins University Press, 2012. Meadows, Donnella. Limits to Growth. New York: Universe Books, 1972. But because commercial markets rarely put a price on these “ecosystem services,” and because governments around the world are failing to protect them, they are being lost at a rapid rate. Global warming is the wild card that could further exacerbate the impacts of human activities on the natural systems that safeguard our water supply—impacts that include falling water tables, shrinking wetlands, vanishing species, and a decrease in both the quality and quantity of available freshwater. Niagara and SUNY Ulster? Petition Created by SUNY Ulster Students. Please consider signing! PLEASE SIGN THIS PETITION CREATED BY STUDENTS AT SUNY ULSTER. 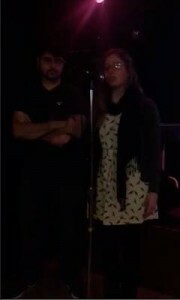 Click on the image to view SUNY Ulster Students speak on the community college’s collaboration with Niagara. Click on link to view more video. Stand United To Problem Solve. 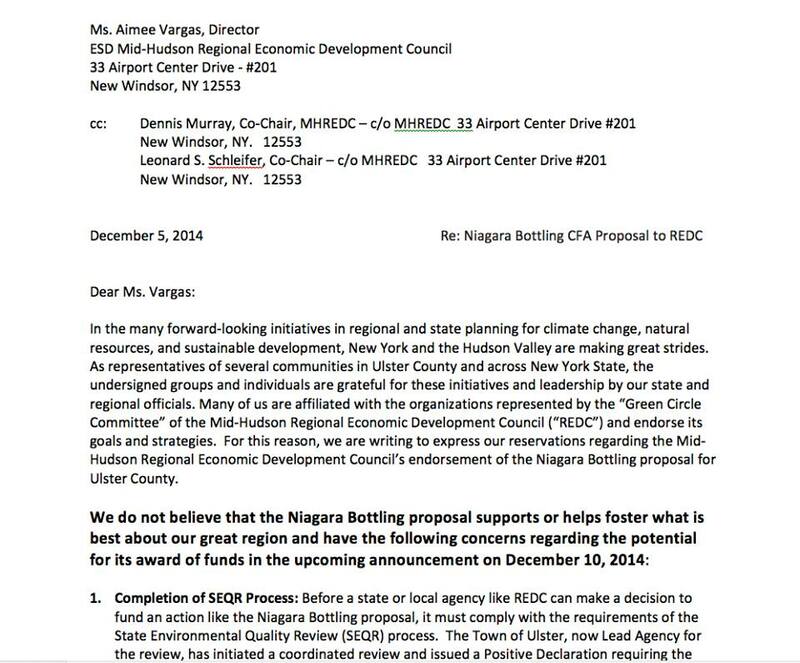 The Regional Economic Development Council (REDC) recent denial of significant incentive funding for the proposed Niagara Bottling facility is now well known. Although we do not know at this time how their decision will impact the outcome of Niagara in the Town of Ulster, we continue on in our effort for a proper, thorough SEQRA process. The REDC effort foreshadows further actions to come. Our united citizen effort to influence the REDC will no doubt seek the same outcome of tax incentives offered by the Start-Up NY program. There is much more to say about why Niagara Bottling is not a good match for Start-Up NY which we will get to in much greater detail shortly. 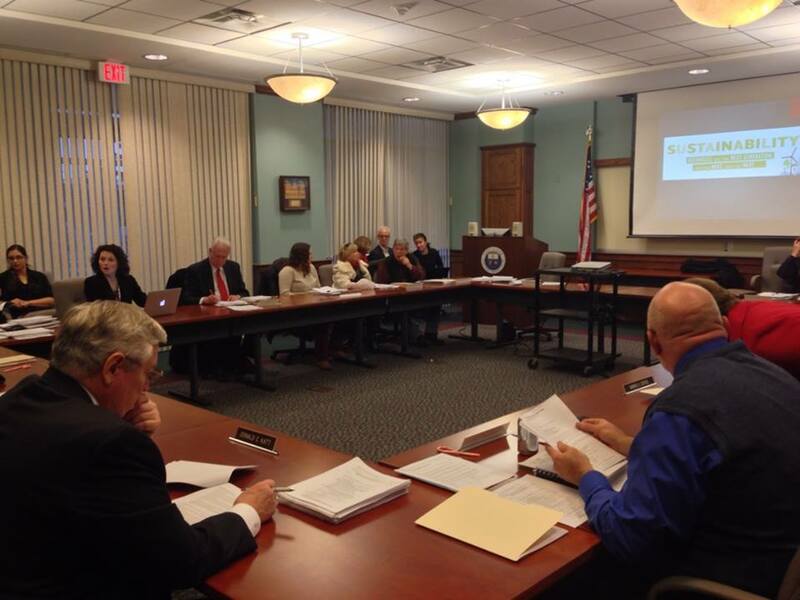 KingstonCitizens.org as well as the SUNY Ulster Environmental Club (a group populated by SUNY Ulster students) will be presenting to the SUNY Ulster Board of Trustees on Tuesday, December 16th. Their petition requesting SUNY Ulster Community College to “rescind their proposed partnership with Niagara Water Bottling Company” regarding Start-Up NY will be part of their presentation. What is certain at this point is that the political leadership around the County has listened to the concerns of the larger community. It is proof that citizens carry a great deal of influence as we should. The Niagara proposal had an initial appeal to some of our elected and appointed officials; it would help the Kingston Water Board finance much needed infrastructure repairs and upgrades, and begin to address a troubled underutilized property in the Town of Ulster that also carries a regional impact. These are not small problems. But the Niagara proposal, with its request to consume over 25% of a finite resource ended up not to be the best solution to them as perhaps reflected by the REDC’s change of heart. It has been made crystal clear how the public felt about it. So while we maintain our vigilance, we must also recognize the serious problems that we face that include Kingston’s aging infrastructure. The current water rate structure and it being updated to reflect sustainable (and perhaps more lucrative) measures (currently, the more you use, the less you pay. The less you use the more you pay). The Kingston Charter being updated. The health and protection of an important water body and the land that surrounds it. Providing support in ways to utilize the Tech City property for sustainable enterprises. It is our aim to stand united to problem solve and to support our elected and appointed officials to do the same. We have been heard, and for as long as that continues we offer a positive attitude and collaborative approach toward the political leadership that seeks real solutions for the problems affecting the region. Village of Red Hook Receives $3.8 Million Loan for Water Repairs from Assemblymember Kevin A. Cahill. 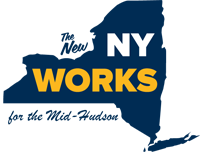 Coalition Responds to Mid-Hudson Regional Economic Development Council’s Grant Decision. Kingston, NY. – A coalition of organizations and communities from Ulster County and New York State submitted a petition on December 5th to the Mid-Hudson Regional Economic Development Council. The group requested that the council not award grant funds to the controversial Niagara Bottling Company proposal in this year’s round of grant announcement. “We are pleased with the Governor’s announcement today and the decision not to fund the Niagara Bottling Company’s proposal at this time. With the project being in the midst of a full environmental review, it is a good decision to wait until all of the related impacts can be evaluated.” says the rapidly growing coalition in the region. The proposed Niagara Bottling 414,800 square-foot bottling facility will process up to 1.75 million gallons per day (GPD) of water from the City of Kingston’s water supply at Cooper Lake located in Woodstock, using over 25% of its capacity, with plans to truck in much more than that from springs in surrounding communities. The Group’s effort is to build a transparent, participatory process based on the facts about this project, having learned that the proposal is being promoted without adequate analysis of its potential economic and environmental impacts. A “Positive Declaration” has been determined and a full public scoping process in the State Quality Review (SEQR) process from the Town of Ulster as Lead Agency is now currently underway. We wish to thank everyone for their swift support in signing the petition generated by a coalition of organizations that requests the Mid-Hudson Regional Economic Development Committee and Governor Cuomo not to fund the Niagara Water Bottling Facility at this time. 1553 signatures and still growing at this time! We are currently printing out your comments and signatures to send off to Aimee Vargas and the MHREDC this evening as well as a hard copy that citizens will take with them TOMORROW when they are on-site in Albany during the announcement. We will be certain to let you know the outcome as soon as that information is available to us. FOR IMMEDIATE RELEASE: Coalition Petitions the Mid-Hudson Regional Economic Development Council. A coalition of organizations and communities from Ulster County and New York State petition the Mid-Hudson Regional Economic Development Council. The group asks the council not to award grant funds for the controversial Niagara Bottling Company proposal in this year’s round of grant announcements on December 10th. Kingston, NY – In response to the proposed Niagara Bottling plant in the Town of Ulster, a growing number of individuals, communities, and organizations in Ulster County and New York State have swiftly come together to form a coalition. Together, the group is dedicated in promoting drinking water as a common good and protecting that right for generations to come. Launched on the evening of Friday, December 5, the petition already had close to 1000 signatures at the time of this release, within just 48 hours of its circulation. The petition will continue to solicit signatures and may be found at HERE. The letter is signed by fifteen (15) organizations that include KingstonCitizens.org, Riverkeeper, Woodstock Land Conservancy, Esopus Creek Conservancy, SaveCooperLake.org, Catskill Mountainkeeper, NYPIRG, Food & Water Watch, Slow Food Hudson Valley, Red Hook Conservation Advisory Council, Town of Red Hook, NY, Woodstock NY Transition, Kingston Transition, Sustainable Saugerties and the Mid-Hudson Sierra Club. The proposed Niagara Bottling 414,800 square-foot bottling facility will process up to 1.75 million gallons per day (GPD) of water from the City of Kingston’s water supply at Cooper Lake located in Woodstock, using over 25% of its capacity, with plans to truck in much more than that from springs in surrounding communities. In the group’s efforts to build a transparent, participatory process based on the facts about this project, they have learned that the proposal is being promoted without adequate analysis of its potential economic and environmental impacts. 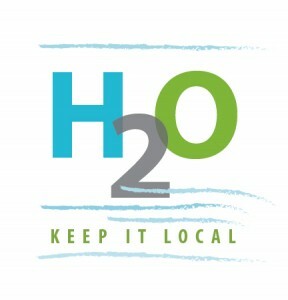 In the three months since the public was made aware of the proposed bottling plan, KingstonCitizens.org has worked with several local organizations, including Save Cooper Lake, Woodstock Land Conservancy and Esopus Creek Conservancy as well as national organizations, such as Riverkeeper and Food & Water Watch. This work is being credited with achieving a more thorough, inclusive environmental review process by securing a “Positive Declaration” and full public scoping process in the State Environmental Quality Review (SEQR) process from the Town of Ulster, which is the Lead Agency for SEQR. The State Environmental Quality Review (SEQR) and Environmental Impact Statement (EIS) have not yet taken place. We do not agree that funds should be awarded to a project before we know whether it could be harmful to the environment. The Niagara Bottling proposal does not meet REDC’s “selection criteria” such as the degree of community support for the project and whether the project supports sustainable development. The Niagara Bottling proposal does not align with the REDC’s strategic plan, and contradicts the plans supported by Governor Cuomo for sustainable development in our region. The economic impacts of 10-year tax exemptions offered by the Start Up New York program (including local school and property taxes) may well outweigh the benefits of 40 to 120 below industry standard jobs, many of which are typically not offered to area residents. About KingstonCitizens.org: Founded in 2007, KingstonCitizens.org is a community-based organization committed to improving the quality of life of Kingston residents through accountability and transparency between the people and their local government. By providing citizens with current and important information through better communication, its work is meant to nurture citizen participation and empowerment through projects, education and fun. About Riverkeeper: Riverkeeper’s mission is to protect the environmental, recreational and commercial integrity of the Hudson River and its tributaries, and safeguard the drinking water of nine million New York City and Hudson Valley residents. Riverkeeper is a member-supported watchdog organization dedicated to defending the Hudson River and its tributaries and protecting the drinking water supply of nine million New York City and Hudson Valley residents. For nearly 50 years Riverkeeper has been New York’s clean water advocate. We have helped to establish globally recognized standards for waterway and watershed protection and serve as the model and mentor for the growing Waterkeeper movement that includes nearly 200 Keeper programs across the country and around the globe. A letter to Aimee Vargas, Director of Empire State Development Mid-Hudson Region. 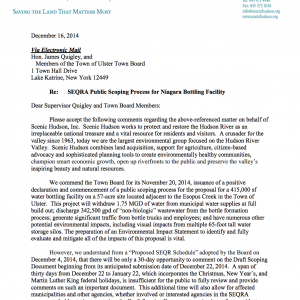 “We request that the MHREDC NOT award funds to the Niagara Bottling Company on December 10th. 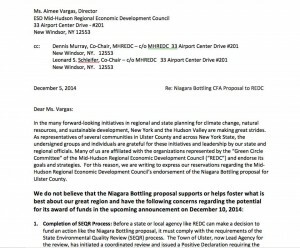 In a letter to Aimee Vargas, Director of Empire State Economic Development Council, a coalition of groups and a municipality that include KingstonCitizens.org, Riverkeeper, Woodstock Land Conservancy, Esopus Creek Conservancy, SaveCooperLake.org, Catskill Mountainkeper, NYPIRG, Food & Water Watch, Slow Food Hudson Valley, Red Hook Conservation Advisory Council, Town of Red Hook, Woodstock NY Transition, Kingston Transition, Sustainable Saugerties and Mid-Hudson Sierra Club alerted Ms. Vargas of their concerns regarding the upcoming December 10th announcement by Governor Cuomo and Niagara Bottling Company. 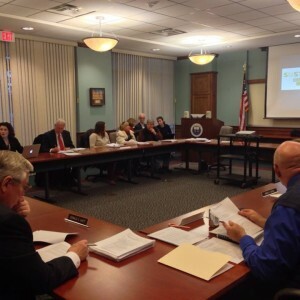 On August 12th, prior to the public being aware of the proposed project, the Mid-Hudson Regional Economic Development Council selected the Niagara Bottling Company endorsed the project as one of their 25 regional priorities for the 2015 funding cycle. Niagara submitted a CFA (Consolidated Funding Application) – public money – to help offset the cost of their facility build. “In response to the proposed Niagara Bottling plant in the Town of Ulster, a growing number of individuals, communities, and organizations in Ulster County and New York State have swiftly come together to form a coalition. Together, the group is dedicated in promoting drinking water as a common good and protecting that right for generations to come. Niagara wants to build a bottling facility that will process at least 1 million gallons per day (GPD) of water from Kingston’s water supply at Cooper Lake, using over 25% of its capacity, and plans to truck in much more than that from springs in surrounding communities. In our efforts to build a transparent, participatory process based on the facts about this project, we have learned that the proposal is being promoted without adequate analysis of its potential economic and environmental impacts. The Niagara Bottling proposal does not align with the REDC’s strategic plan, and contradicts the plan for sustainable development in our region. KingstonCitizens.org hosted a public educational forum with our guest Alex Beauchamp from Food & Water Watch. Thanks to Clark Richters of Kingston News for capturing the bulk of the evening. How has marketing convinced us that bottled water is safer? Bottled water contamination. Who oversees testing? What is the regulatory process for water bottling facilities? Water leaving the watershed. What happens to water when it leaves and why doesn’t it return? What are the benefits of selling water to the community and the profits to a company? Are there examples of how selling municipal water has curtailed economic development? Regarding Niagara, have you seen scenarios before such as like what is happening in Kingston in other communities and how have they gone through their process? Why might Niagara be interested in coming to our area? Is it common that corporations and government are working behind the scenes before the public is made aware of water deals?